let them be wide and traveling mirrors." ​Information regarding Rossy Evelin Lima's biography, publications and awards. ​Rossy receives 1st place in poetry in the Premio Internazionale La Finestra Eterea in Milan, Italy, 2017. ​Rossy's poetry book receives the International Latino Book Award (2016). Rossy Evelin Lima presents at TEDxMcAllen. She narrates her experience as an immigrant writer in her talk titled: Undocumented Dream (2015). ​Rossy presents at the Smithsonian Latino Virtual Museum during during Day of the Dead (2015). Rossy is awarded the Italian International award Premio Internazionale di Poesia Altino in Italy (2015). The government of Mexico includes Rossy in their national catalog of writers (2015). Rossy along with her husband Gerald Padilla create FeIPoL; the International Latin American poetry festival in the U.S. (2016). 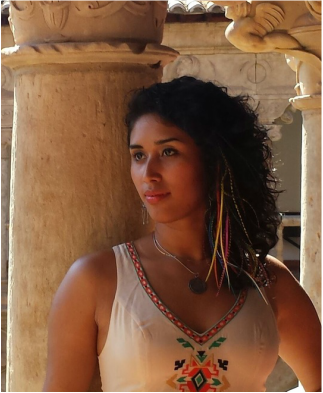 ​Rossy is featured on Latino Book Review, a platform that hosts and exposes contemporary Latin American authors and literature, ranging from well established to promising emerging authors (2016)..
Rossy Evelin Lima is featured as a Latino Giant, a platform to inspire and empower Latinos to achieve their dreams (2013). ​Rossy was awarded the Premio Orgullo Fronterizo Mexicano Award by the Institute of Mexicans Abroad in McAllen, Texas (2016). ​The Enciclopedia of Literature in Mexico includes Rossy in their database (2015). The Monitor newspaper includes Rossy in its list of 11 Women We Love in the Rio Grande Valley for inspiring the community of South Texas (2017). ​Revista Clase interviews Rossy regarding her creation of FEIPOL, Festival Internacional de Poesía Latinoamericana (2016). Cultural magazine of the Universidad Iberoamericana Torreón features Rossy's poem Río Bravo I (2012). ​Italian publication in which Rossy is awarded the international poetry award Premio Internazionale di Poesia Altino (2015). ​Online Venezuelan magazine Letralia features Rossy's poems Ratos Rotos, Sembrando con la muerte and Tu hechizo en mi mano. Online radio show Corazón Bilingüe features Rossy. In this segment she talks about her poetry book Ecos de Barro. Mexican poetry magazine Revista Síncope features Rossy and her poem Soy más tierra que nube. Red Mundial de Escritores en Español includes Rossy in their database. UNAM University's online magazine, Periodico de Poesia, features Rossy. The Latino Author includes Rossy in their online database of Latino authors..
Rossy's poem 43, hechos ausencia is featured in the Mexican newspaper El Sol de Mêxico. Mexican cultural magazine destiempos includes Rossy's poem Verbum on issue 39 (2014) and a book review of her poetry book Ecos de barro on issue 43 (2015). ​A Texas newspaper, El Extra, interviews Rossy about her life as a poet (2015).